Definition at line 83 of file CMiaseModel.h. Definition at line 84 of file CMiaseModel.cpp. Definition at line 87 of file CMiaseModel.cpp. Definition at line 113 of file CMiaseModel.cpp. Definition at line 118 of file CMiaseModel.cpp. Definition at line 123 of file CMiaseModel.cpp. 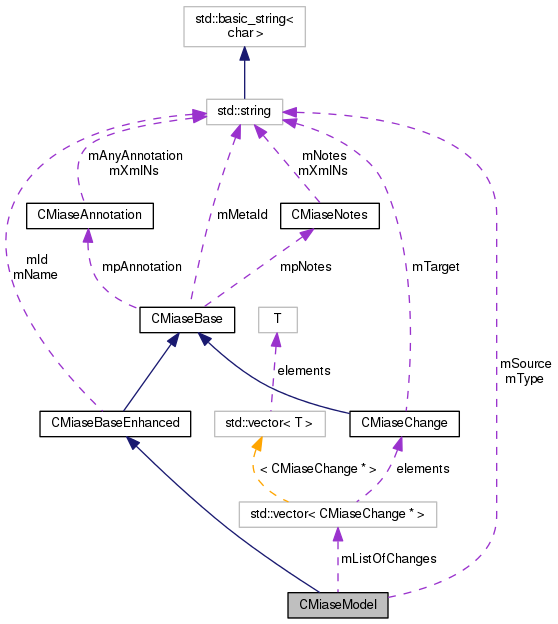 Referenced by CMiaseParser::getLastObj(), CMiaseParser::newAnnotation(), CMiaseParser::newChange(), and CMiaseParser::newNotes(). Definition at line 128 of file CMiaseModel.cpp. 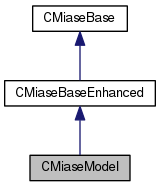 Definition at line 98 of file CMiaseModel.cpp. Definition at line 93 of file CMiaseModel.cpp. Definition at line 108 of file CMiaseModel.cpp. Definition at line 103 of file CMiaseModel.cpp. Definition at line 109 of file CMiaseModel.h. Referenced by addChange(), getChange(), getLastChange(), and getNumOfChanges(). Definition at line 107 of file CMiaseModel.h. Definition at line 106 of file CMiaseModel.h.